Sacale Punta as seen from University Avenue. 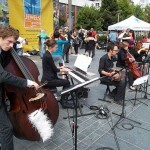 In Tango, when we think of Berkeley, most people think of the Beat. And for good reason of course. 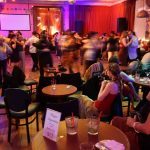 The Beat has maintained its status over the years as a great place for Tango primarily due to the Monday nights Practica and the monthly All-Nighter. That being said, there is now another reason to head to Berkeley for Tango. 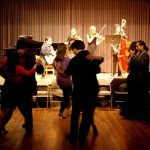 It’s Milonga Sácale Punta held every 2nd and 4th Friday of the month in downtown Berkeley. And unlike the Beat, Sácale is easily accessible via Bart. Plus the downtown location (Shattuck & University) allows tangueros to gather beforehand for drinks and/or food at one of the numerous hip restaurants in downtown Berkeley. 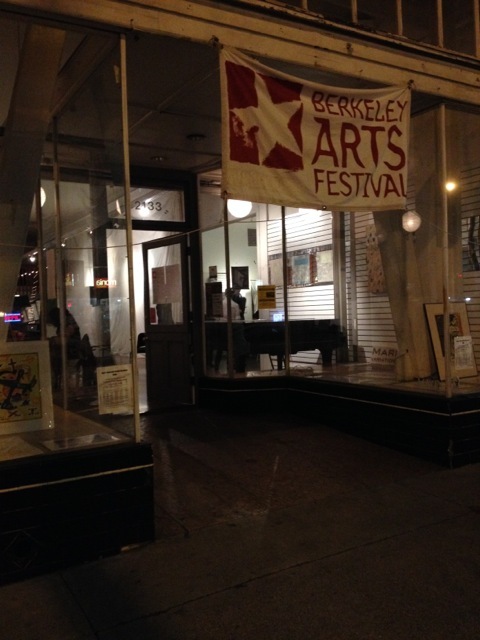 And for those of us that live in Berkeley, hooray… we don’t even have to cross a bridge. Besides the location, Sácale Punta has a few other qualities that make it worth attending. The space is an art gallery/studio with a high ceiling and smooth wood floors. 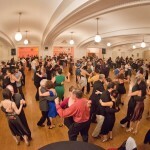 I have to admit, the space seemed a bit awkward the first few times I attended this milonga due to the fact that the tables and chairs are basically in another room separate from the dance floor. But somehow it sort of works. One can relax, chat and eat in the room with tables and still be able to cabeceo potential partners. 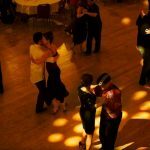 (For those not in the know, if you are at a milonga, and someone is staring at you and smiling, that means they want to dance with you.) There are several chairs set up in front of the dance floor if you enjoy a prime viewing spot and easier access to the dance floor. Sacale Punta has just the right size dance floor for the crowd. Plus the seating is on the other side of the room so that no one has to walk through the dance floor. One cannot talk about Sácale Punta without mentioning the food spread. It’s definitely one of the best in the Bay Area (except for when Cristina makes food for the Beat on Monday nights). A variety of baked goods, fresh fruit, chocolate dipped strawberries are all there to tempt and energize dancers. The atmosphere is welcoming and friendly. 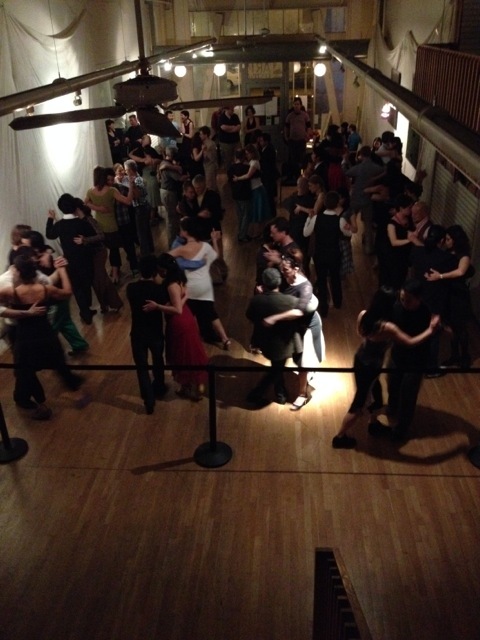 You will find dancers of all levels here, many UCB students but also many milonga regulars. And thankfully, most dancers here know proper floor etiquette. The dance floor is not especially large, so perhaps that fact helps lend itself to the tameness on the dance floor. 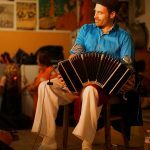 Sácale Punta first began as part of the UC Berkeley’s Tango club but is now its own entity separate from the University. 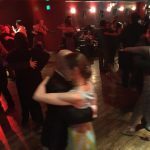 Linette Jimenez and Israel Lipinsky have done a great job running this milonga, first by bringing in top guest DJs such as Felipe, Yuling, Rina and Vijay. 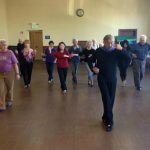 And more recently bringing in guest instructors to teach a class before the milonga. 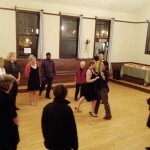 For the previous milonga the guest teachers were the ever-popular Santiago and Amy. They also plan to offer workshops series in the future with visiting instructors. Stay tuned for details. 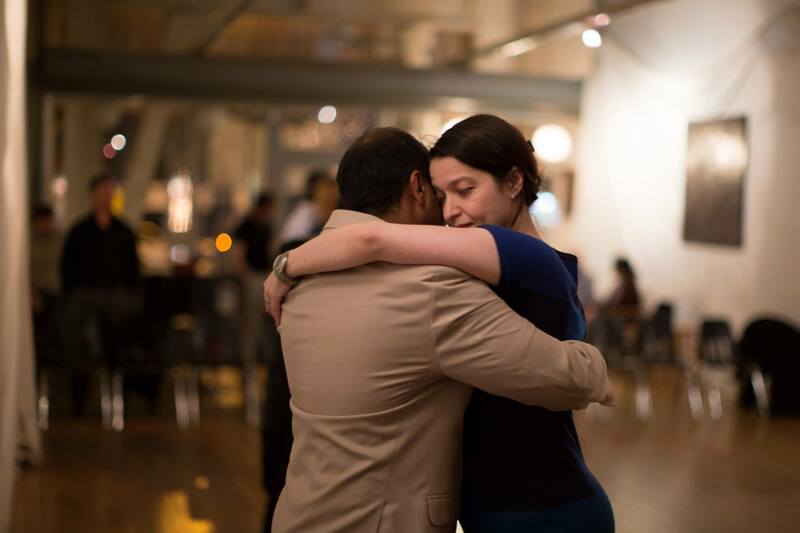 This Friday Homer and Cristina will be teaching the pre-milonga class, guaranteeing a packed house. Class Topic: “The language of Pitter – Patter for Leaders and Followers” exploring how to take strong and clear small steps.